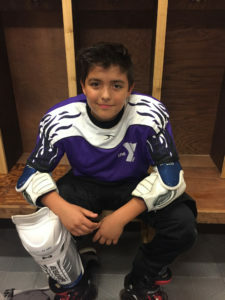 Sam is an active 11-year old boy who loves to play roller hockey, football, and basketball. He has loved participating in his school’s theater club where his inner thespian gets to shine. This summer he’s excited to attend his first away camp at The Pines Catholic camp. He is also looking forward to various camps at church and school as well as hanging out with his four siblings. As of May, 2018, he is finishing fifth grade at Founders Classical Academy in Leander.